Battle Light Zip-Zap Game is based on the unique combination of light, sound and games. Interactive spots are wirelessly connected to the scoreboard to enable challenging games between players. 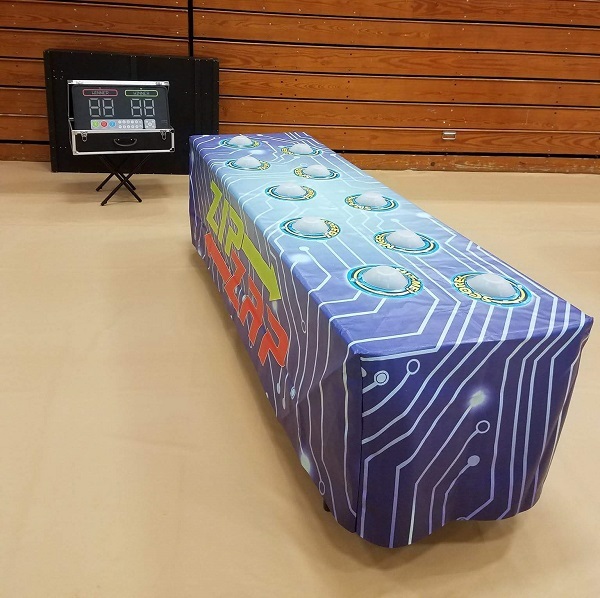 Zip-Zap features 3 different fast-paced games ("Light Hunter," "Steal the Light" and "Back to Base"), and is perfect for all ages. This Zip Zap Game requires an 8ft. Table to Play On. If you Do Not have one Please include one before you Checkout so we can bring it with to your event.